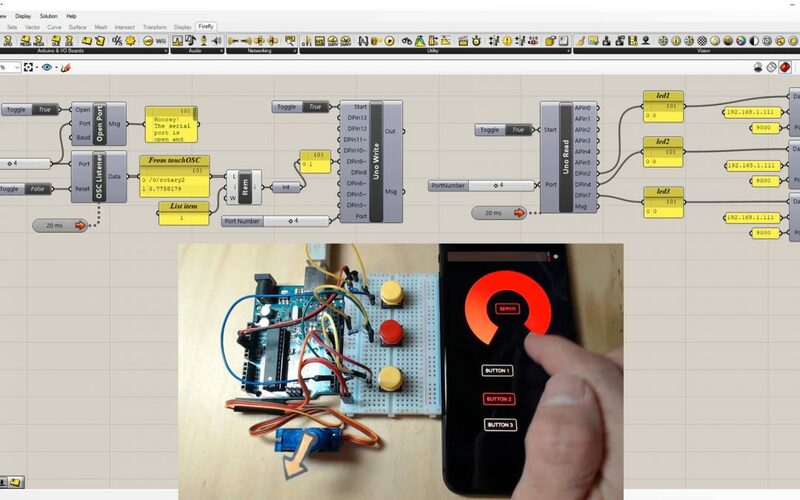 Lessons and demonstrations on how to use Firefly and Arduino. 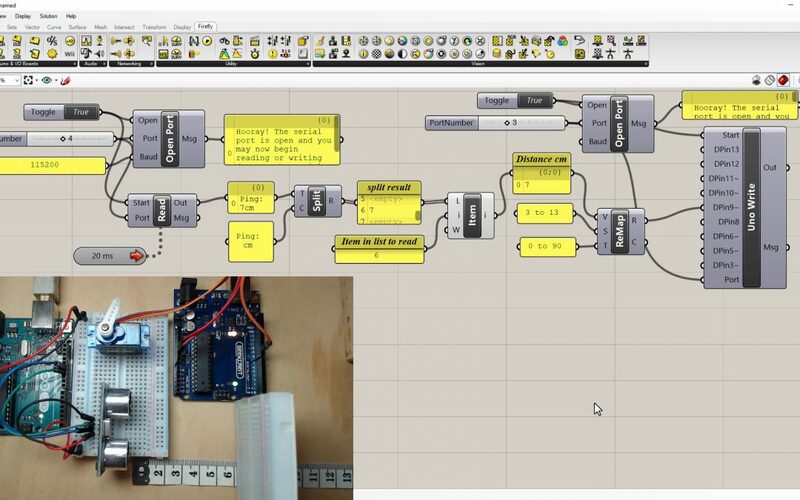 Firefly is a plugin for Grasshopper and Rhino 3D that allows you to use a visual programming language to control an Arduino and interact with 3D models in Rhino. 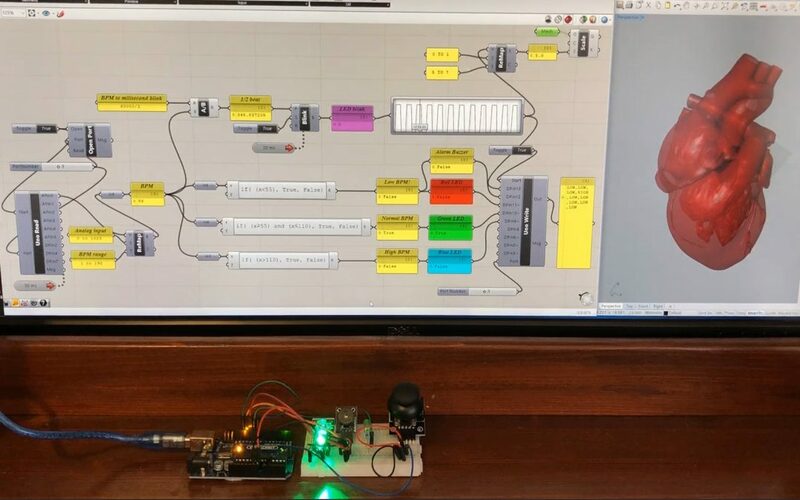 It’s a useful tool for learning, prototyping, CAD model control and interactive installations.